Pictured: Kaewkhwan Srisang in front of VIU’s Student Center. Kaewkhwan Srisang is an MA in TESOL from Thailand. She recently was awarded the President’s Scholarship for her academic excellence and essay-writing skills. 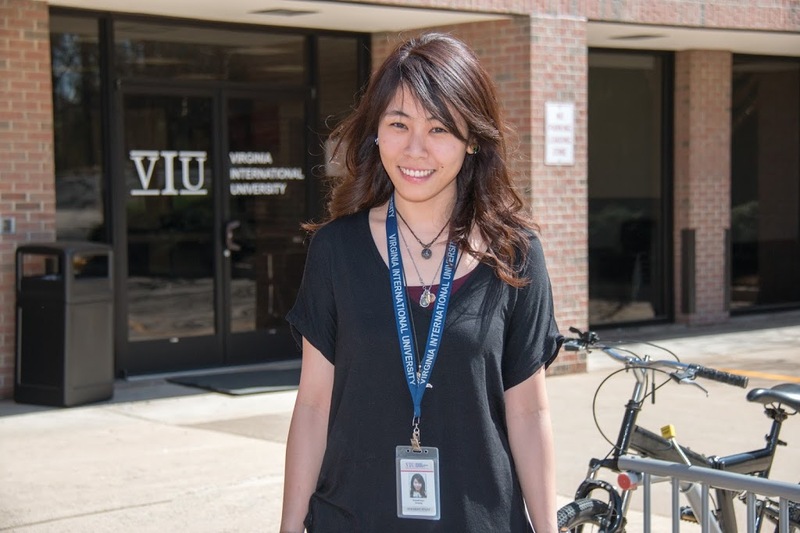 Read on to learn more about Kaewkhwan and how she came to study at Virginia International University. While I was studying for my Bachelor’s degree, I joined many volunteering camps. We went to poor suburban areas, mostly on remote hills in the northern part of Thailand where specific tribes, such as Chiang Rai, Nan, and Mae Hong Son, live. We built shelter or did whatever was needed for them. I experienced how the people there lived and interacted with them. At one point, one of the kids said to me that I was so lucky that I went to a university. He did not even know if he and other kids could have education beyond elementary school. After I graduated, I started working as a freelance event organizer. I had to survey schools in suburban areas. I saw how unfortunate the education system in my country was. I witnessed a lack of teachers and essential learning materials, but then I realized that even though these schools were not as poor as ones on the hills and the students had better education, it was still terrible. The principal even asked if we could send someone to teach there because they had too many students for one teacher, and a teacher had to teach every subject, but could not teach English. I wondered why, but I learned it was because no one knew English and it would require a larger budget to send a teacher to study English in the city. Eventually, the company I was working for decided not to give those schools any help because another project they were working on would make more profit. Two weeks later, I submitted my resignation. While I was looking for a new position, I assisted my mother on her job which involved working with a non-governmental organization to fight against exploitation of women, children and men in some cases. I had many chances to interact with victims and learned that one of the factors that made these people fall into traps and become victims was their lack of education. There were cases in which they were asked to sign documents that were written in English by someone they trusted. Also, because of low education, some were tricked by agents who told them they could make more money in The United States, England, or other European countries, but ended up taking all their money and leaving them in the foreign countries where they could not speak or understand a word, so they would be stuck working in a factory or prostitution rings. I decided to enroll in Virginia International University’s MA TESOL program because I want to learn the art of teaching English in depth. I believe that this program has the answers to my questions and will deepen my understanding of what a good and resourceful teacher is like and how I can be one. I plan to use my knowledge and experiences to not only teach English in Thailand, but also pursue the higher goal of getting together with others who have the same goal to develop the education system.